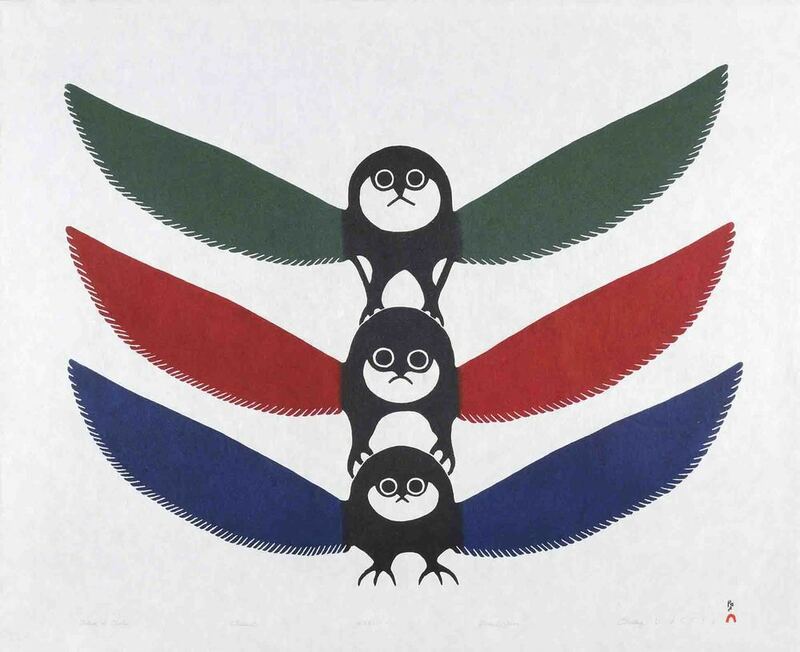 Ohotaq was born in 1936 and lived in Cape Dorset with his wife Qaunak, who is a carver and traditional throat-singer. 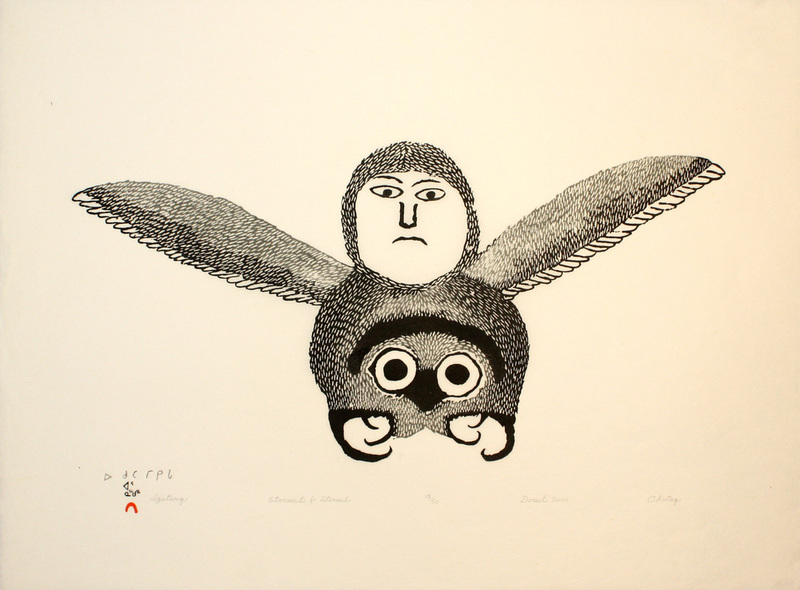 Ohotaq began drawing in the early years of the print program in Cape Dorset, and his print, Eskimo Fox Trapper, was released in 1961. He became less involved with drawing as the community grew, working full time instead for various community agencies. 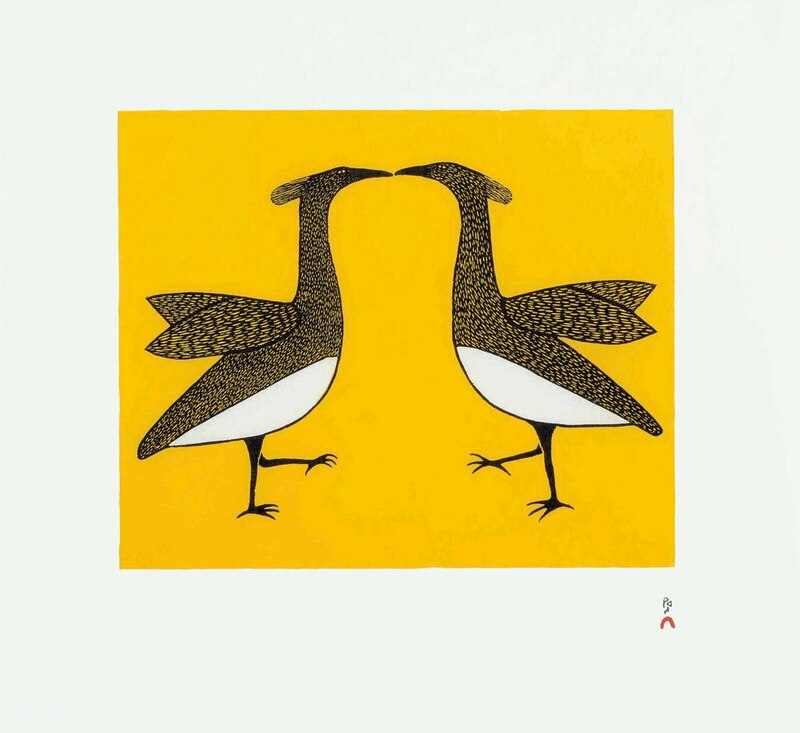 After his retirement from his job as caretaker of the Peter Pitseolak School in Cape Dorset, Ohotaq resumed his interest in drawing. 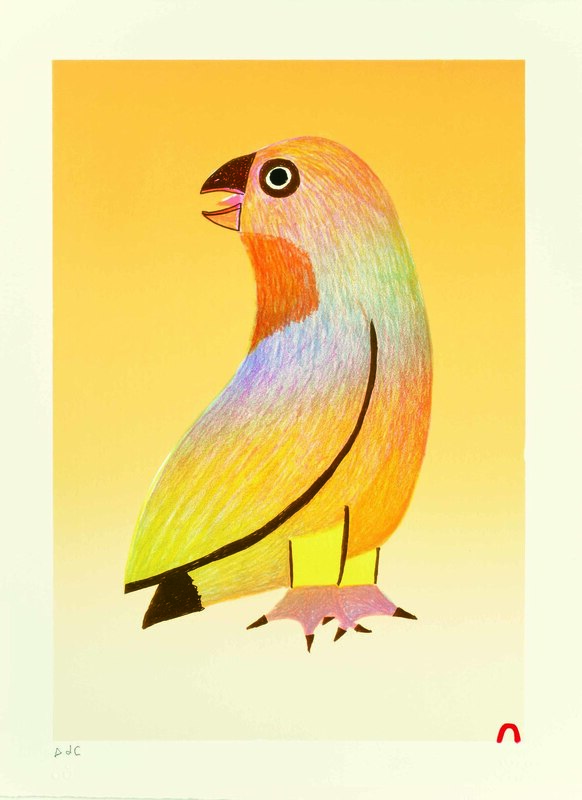 We were pleased to include three of his prints in the 40th anniversary collection released in 1999 and he was represent in every subsequent collection until his death in 2014. 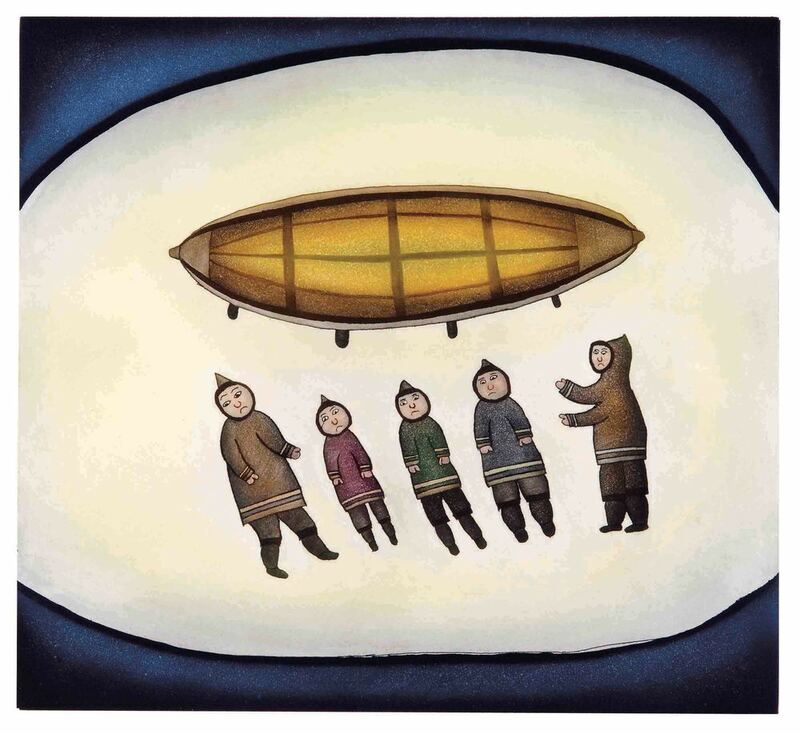 In the later years Ohotaq was a daily fixture at the table in the Kinngait Studios, working on drawings covering a wide range of themes and subjects, including an illustrated life history. 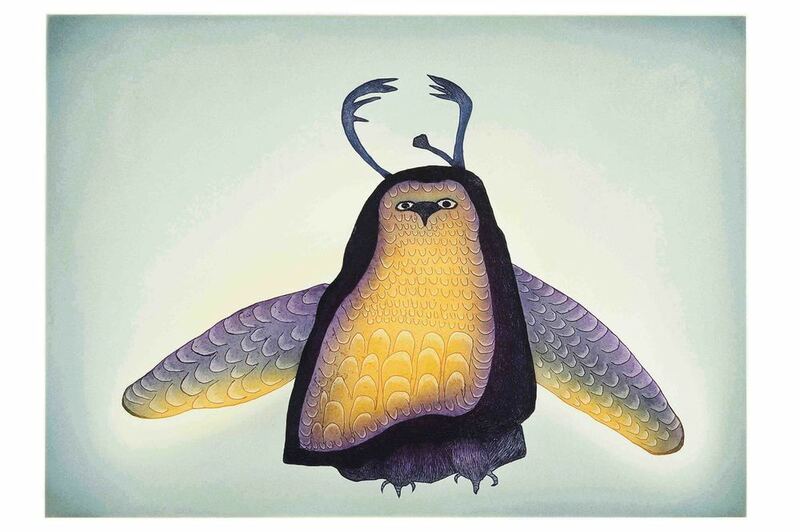 Ohotaq had his first solo exhibition of prints and drawings in 2010, and in 2012 a number of his large scale drawings were exhibited in a highly acclaimed show alongside Venerable Canadian artist Jack Bush at the Justina M Barnicke Gallery at the University of Toronto.